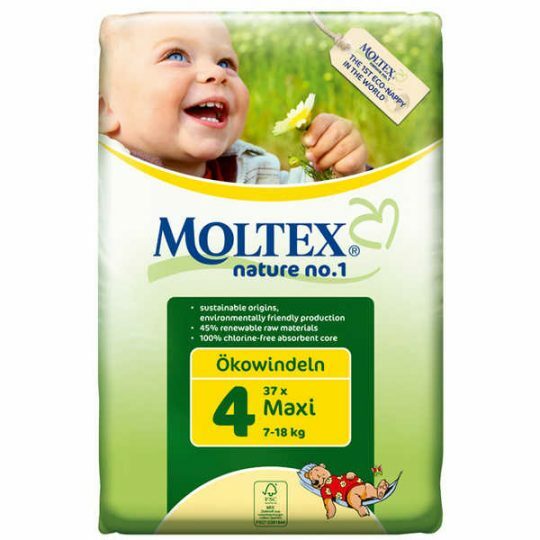 Extra large, moist wipes with no nasties, gentle enough for newborns. 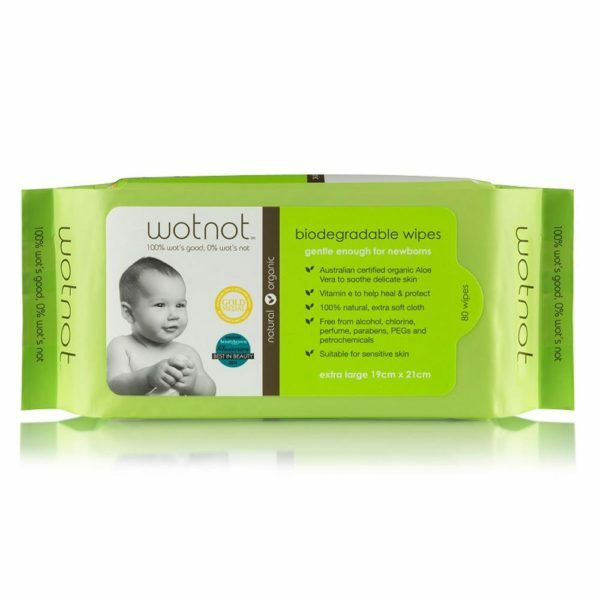 WOTNOT baby wipes contain Australian certified organic aloe vera to gently cleanse even the most delicate skin. Contains Vitamin E to help heal and protect. They are suitable for sensitive skin. These unscented wipes are 100% biodegradable, 100% chlorine free and extra large to go a long way. The pack contains 80 wipes. WOTNOT products use natural ingredients so they are safe for the whole family. They contain certified organic ingredients and do not contain any sulphates, petrochemicals, parabens or artificial preservatives and fragrances. All ingredients are disclosed so you don’t need to worry about what’s not listed on the pack. WOTNOT is a proud Australian company that donates a percentage of each sale to charities. Extra large 19cm x 21cm.